With “Moneyball” nominated for several Oscars and baseball season just around the corner, everybody’s talking stats and sabermetrics. 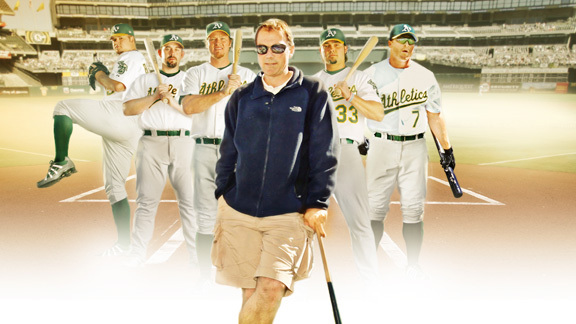 As you probably know, “Moneyball” tells the story of small-market, cost-conscious Oakland A’s general manager Billy Beane (played by Brad Pitt). Beane turns to “unorthodox” statistical analysis in order to compete with big-market, big-spending teams by identifying players with high on-base percentages, good baserunning skills and solid defensive abilities. This isn’t exactly what sabermetrics is all about. But “Moneyball” (the movie) did introduce the basic concept of advanced statistical analysis to a mainstream audience. This is not a bad thing. But now that we’re talking about advanced stats (short-handed as sabermetrics, thanks to Bill James of the Society for American Baseball Research) and great sites like Baseball Prospectus and FanGraphs, let’s take a closer look. WAR, OPS, wOBA, VORP, BABIP, FIP, UZR. You’ve probably heard them over the past few years. “Dude, his wOBA is off the charts, but his UZR is terrible.” But what do all the terms mean? And how on earth do you pronounce them? I’m going to do my best to take you through many of the most common (and useful) concepts. I can hear you now: “I was told there’d be no math!” It’s true that some of the analytics are really complicated and involve complex formulas. But have no fear, this post is not about the actual math (many fine baseball sabermetricians around the Internet have already done all the math for you). The goal is to give you an easy-to-understand breakdown of the concepts behind the formulas and why they can be helpful, especially as we prepare for fantasy baseball season.